-William James to Sara Sidis after Harvard’s waiver of multiple PhD requirements, including an oral exam, for Boris. For defying the Tsarist decree against teaching peasants Boris was sentenced to two years in a cell that could not accommodate the length of an ordinary man’s body. Instead of breaking his spirit, it only fueled his hatred for tyranny and his determination to combat it whenever it reared its head. Later he credited this period of solitary confinement with his immense capacity for concentration. After fleeing to America, Boris went through a series of menial jobs to support his independent reading at the Boston library, the first sight of which he likened to “the gates of heaven” (Wallace, 1989). During this time he met a young woman whose family had fled the Russian pogroms. Sara, who aspired to become a medical doctor, needed to pass her entrance exam. Boris tutored her. She would eventually become his wife. In line with other accounts, one colleague described him as a man who “had a very active and forceful mentality…and possessed a genial and kindly nature, but was apt to express his opposition to what he considered fraudulent or dishonest with abruptness and vigor. He was of a retiring disposition, and did not seek a following of pupils. He made few contacts with his colleagues, but the few friends he did make, among them Morton Prince [q.v. ], were his loyal admirers” (Linenthal, 1923). The four works selected for this volume cover the breadth of his thought while remaining accessible to the layperson. The Psychology of Suggestion is as engaging and provocative as any modern work on hypnosis, from its detailed investigations into the subconscious to its closing chapters about the historical, sociological, and economic consequences of our “subwaking selves.” It is important to note that Sidis was not just writing as a theorist, but as an esteemed clinician who had treated droves of patients, some quite disturbed, with stunning success (Bruce, 1910). Compared to the permissive, varied, and occasionally bizarre techniques employed by Ericksonians (Battino and South, 2005) some hypnotists may find his inductions – which involved asking patients to follow a monotonous sound like a metronome or letting them guide themselves into trance by narrating their thoughts – boring or primitive. They nevertheless served his purposes. Nervous Ills: Their Causes and Cure is a stirring counterpoint to the prevailing psychoanalytic prescriptions for anxiety, depression, and related maladies. Although it was published long before the first DSM, the sorts of neurotic ailments described in it should be immediately recognizable (he was, like any good medical professional, an astute observer). Near the outset Sidis calls psychoanalysis “a sort of Astrology, full of superstitious symbolizations, dream vagaries, and idle interpretations, foisted on the credulous, on those obsessed by sexual inclinations, and on those suffering from sexual perversions…psychoanalysts care for nothing else but the fulfillment of sexual wishes. It is useless to argue with psychoanalysts, who as a rule possess no more critical sense than Mormon saints.” Earlier in an academic journal he’d written “some of Freud’s admirers, with a metaphysical proclivity, are delighted over the theory of repressed wishes. The wish is fundamental and prior to all mental states. This piece of metaphysical psychologism is supposed to be based on clinical experience. If wishes were horses, beggars would ride. The Freudist manages to ride such horses” (Sidis, 1911). An enraged Ernest Jones promptly sent a letter to James Putnam: “Sidis’ remark is of course unpardonable, and Prince should not have allowed it to be printed; one will be bound to ignore him in the future.” Psychiatry was not the only area where Boris confronted implacable dogmas and unapologetic dogmatists. At this time Philistine and Genius is his most widely read book, perhaps because it is brief and requires no specialized knowledge to understand. Its popularity may also attributable to its continued relevance as a critique of American culture and its connection to the controversial child-rearing methods he and Sara famously applied to their own son. Its excoriation of public schools, the American obsession with athletics, and the then accepted forms of parenting struck several nerves at once. Its tone, which occasionally veers into indignation, did not resonate with most readers. The overriding belief in the tremendous potential of every person the piece extolled was ignored; he’d condemned himself to being forever pilfered as an elitist for attacking the baser (and, in his opinion, perfectly remediable) parts of commonness. His accomplishments were not limited to pedagogy or psychiatry. Dr. Bruce did not recognize (being without a crystal ball, how could he?) the significance of The Theory of Moment Consciousness. While James’s influence is undeniable, the piece contains its share of original insights. Moreover its contentions, particularly those about hierarchical processing, seem to (at least superficially) mirror those made decades later by Newell, Baars, DeHaene, and other proponents of Global Workspace Theory (Baars and Alonzi, 2018) as well as “dynamic core” models (Damasio, 1999). His work was expunged from the records by the moratorium placed upon the use of words like cognition, memory, and scores of other terms he, his teachers, and hundreds of generations of men and women have used for thousands of years to describe the subjective states all sentient beings experience. Because mental states could not be directly observed, they were deemed unworthy of serious inquiry, or formal recognition, by Watson, Skinner, and their followers (Baars, 1989). Even with the advent of advanced neuroimaging techniques the scientific study of consciousness remains woefully – or delightfully – interdisciplinary. Sidis saw the inextricable interconnectedness of all fields of knowledge. This is one of his strengths. It consistently shows in his writing. His atheism, Jewish ancestry, fervent rejection of Freudian psychoanalysis, isolationist position towards American intervention in the First World War, opposition to eugenics, and obvious theoretical and methodological irreconcilability with the rising tide of Behaviorism in research psychology all conspired to ensure his alienation from society in his lifetime as well as the posthumous interment of his achievements. We must count his son, arguably the greatest child prodigy in recorded history, among them. However, Billy was another contributing factor to his father’s fall from grace. Worse was that after graduating from Harvard William James Sidis, who had been a regular source of sensationalized stories for the press, led an adult life that did not seem to meet the expectations set by his boyhood feats. Extant photographs present us with a severe man standing in the stalwart fashion of someone who has spent their life upholding an ideal, a Hercules at once fatigued and emboldened by his labors. Perhaps he was too ready defend himself, too uncompromising in his commitments. The search for truth sometimes has to give up its seat to diplomacy. Although Boris disliked organized religion, he had an impressive command of the scriptures of more than one religion. He read the Hebrew Bible, the New Testament in Koine Greek, and the Sanskrit epics of India. He also regularly spoke with holy men of different faiths. Like any serious student of history or crowd psychology he was acutely aware of the darker features of the human mind, but there are few proponents of human potential as optimistic as Boris Sidis. Thus he differed from Freud not just in his picture of the subconscious, but in his very conception of human nature. In this respect, if no other, there are few who could be considered a more worthy successor to the aims and spirit of the psychology propounded by his cherished friend and mentor, William James. One wonders how psychiatry and psychology in the twentieth century would have developed had their torrents been tempered more by Boris Sidis. Baars, Bernard J. The cognitive revolution in psychology. Vol. 157. New York: Guilford Press, 1986. Baars, Bernard, and Adam Alonzi. “Global Workspace Theory.” The Routledge Handbook of Consciousness 2018, pp. 122–137. Battino, Rubin, and Thomas L. South. Ericksonian Approaches-: A Comprehensive Manual. Crown House Publishing, 2005. Bruce, H. Addington. “Masters of the mind.” American Magazine 71 (1910): 71-81. Damasio, Antonio. “The feeling of what happens.” Body and Emotion in the Making of Consciousness (1999). Linenthal, Harry. Who’s Who in America, 1022-23; Harvard Coll. Class of 1894, 1923. Jones, Ernest. “The Controversy over Psychoanalysis.” Received by James Putnam, 6 Mar. 1911. Sidis, Boris. The foundations of normal and abnormal psychology. RG Badger, 1914. Sidis, Boris. “Fundamental states in psychoneurosis.” The Journal of Abnormal Psychology 5.6 (1911): 320. Wallace, Amy. The Prodigy. E.P. Dutton, 1986. Before the advent of evidence-based medicine most physicians took an attitude like Galen’s toward their prescriptions. If their remedies did not work, surely the fault was with their patient. For centuries scores of revered doctors did not consider putting bloodletting or trepanation to the test. Randomized trials to evaluate the efficacy of a treatment were not common practice. Doctors like Archie Cochrane, who fought to make them part of standard protocol, were met with fierce resistance. Tetlock contends that the state of forecasting in the 21st century is strikingly similar to medicine in the 19th. Initiatives like the Good Judgement Project, a website that allows anyone to make predictions about world events, have shown that even a discipline that is largely at the mercy of chance can be put on a scientific footing. More than once the author reminds us that the key to success in this endeavor is not what you think or what you know, but how you think. For Tetlock pundits like Thomas Friedman are the “exasperatingly evasive” Galens of the modern era. In the footnotes he lets the reader know he chose Friedman as target strictly because of his prominence. There are many like him. Tetlock’s academic work comparing random selections with those of professionals led media outlets to publish, and a portion of their readers to conclude, that expert opinion is no more accurate than a dart throwing chimpanzee. What the undiscerning did not consider, however, is not all of the experts who participated failed to do better than chance. While the merits of his macroeconomic theories can be debated, John Maynard Keynes was an extremely successful investor during one of the bleakest periods in international finance. This was no doubt due in part to his willingness to make allowance for new information and his grasp of probability. Open-mindedness, an ability and willingness to repeatedly update their forecasts, a talent to neither under nor over react to new information by putting it into a broader context, and a predilection for mathematical thinking (though those interviewed admitted they rarely used an explicit equation to calculate their answer). The figures they give also tend to be more precise than their less successful peers. This “granularity” may seem ridiculous at first. I must confess that when I first saw estimates on the GJP of 34% or 59% I would chuckle a bit. How, I asked myself, is a single percentage point meaningful? Aren’t we just dealing with rough approximations? Apparently not. Using numbers instead of words like possibly, probably, unlikely, etc seems unnatural. It gives us wiggle room and plausible deniability. They also cannot be put on any sort of record to keep score of how well we’re doing. Still, to some it may seem silly, pedantic, or presumptuous. If Joint Chiefs of Staff had given the exact figure they had in mind (3 to 1) instead of the “fair chance” given to Kennedy the Bay of Pigs debacle may have never transpired. Because they represent ranges of values instead of single numbers words can be retroactively stretched or shrunk to make blunders seem a little less avoidable. This is good for advisors looking to cover their hides by hedging their bets, but not so great for everyone else. If American intelligence agencies had presented the formidable but vincible figure of 70% instead of a “slam dunk” to Congress a disastrous invasion and costly occupation would have been prevented. At this point it is hard not to see the invasion as anything as a mistake, but even amidst these emotions we must be wary of hindsight. Still, a 70% chance of being right means there is a 30% chance of being wrong. It is hardly a “slam dunk.” No one would feel completely if an oncologist told them they are 70% sure the growth is not malignant. There are enormous consequences to sloppy communications. However, those with vested interests are more than content with it if it agrees with them, even if it ends up harming them. When Nate Silver put the odds of the 2008 election in Obama’s favor he was panned by Republicans as a pawn of the liberal media. He was quickly reviled by Democrats when he foresaw a Republican takeover of the senate. It is hard to be a wizard when the king, his court, and all the merry peasants sweeping the stables would not know a confirmation bias from their right foot. To make matters worse, confidence is widely equated with capability. This seems to be doubly true of groups of people, particularly when they are choosing a leader. A mutual fund manager who tells his clients they will see great returns on a company is viewed as stronger than a poindexter prattling on about Bayesian inference and risk management. Paul Ehrlich, a darling of environmentalist movement, has screeched about the detonation of a “population bomb” for decades. Civilization was set to collapse between 15 and 30 years from 1970. During the interim 100 to 200 million would annually starve to death, by the year 2000 no crude oil would be left, the prices of raw materials would skyrocket, and planet would be in the midst of a perpetual famine. Tetlock does not mention Ehrlich, but he is, particularly given his persisting influence on Greens, as or more deserving of a place in this hall of fame as anyone else. Larry Kudlow continued to assure the American people that the Bush tax breaks were producing massive economic growth. This continued well into 2008 when he repeatedly told journalists that America was not in a recession and the Bush boom was “alive and well.” For his stupendous commitment to his contention in the face of overwhelming evidence to the contrary he was nearly awarded a seat in the Trump cabinet. This is not to say a mistake should become the journalistic equivalent of a scarlet letter. Kudlow’s slavish adherence to his axioms is not unique. Ehrlich’s blindness to technological advances is not uncommon, even in an era dominated by technology. By failing to set a timeline or give detailed causal accounts many believe they have predicted every crash since they learned how to say the word. This is likely because they begin each day with the same mantra: “the market will crash.” Yet through an automatically executed routine of psychological somersaults they do not see they were right only once and wrong dozens, hundreds, or thousands of times. This kind of person is much more deserving of scorn than a poker player who boasts about his victories, because he is (likely) also aware of how often he loses. At least he’s not fooling himself. The severity of Ehrlich’s misfires are reminders of what happens when someone looks too far ahead while assuming all things will remain the same. Ceteris paribus exists only in laboratories and textbooks. Axioms are fates accepted by different people as truth, but the belief in Fate (in the form of retroactive narrative construction) is a nearly ubiquitous stumbling block to clear thinking. We may be far removed from Sophocles, but the unconscious human drive to create sensible narratives is not peculiar to fifth century Athens. A questionnaire given to students at Northwestern showed most believed things had turned out for the best even if they had gotten into their first pick. From an outsider’s perspective this is probably not true. In our cocoons we like to think we are in the right place either through the hand of fate or through our own choices. Atheists are not immune to this Panglossian habit. Our brains are wired for stories, but the stories we tell ourselves about ourselves seldom come out without distortions. We can gain a better outside view, which allows us to see situations from perspectives other than our own, but only through regular practice with feedback. This is one of the reasons groups are valuable. The Fall of Phaeton by Peter Paul Rubens. c. 1604/1605, probably reworked c. 1606/1608. Everything in Rome comes with a price. Juvenal died around 130 AD. Since it took another 346 years for Rome to fall to Odoacer’s hordes, we could say Juvenal was either remarkably prescient or just another literary type bemoaning the “vanity of life” and the vapidity of consumerism. He was critical of sycophancy, the respect enjoyed by actors and gladiators, the privileges granted to the military class, and the overall decadence he observed in the capital. While perceiving decadence in the present is quite common (Mircea Eliade’s classic study of shamanism shows that even tribal societies like to believe there was a glorious golden age replete with supernatural happenings that came just before their own), one should not condemn Juvenal for poking fun at the faults of the empire, though maybe he should have points deducted for frequently being so hamfisted about it. An unrelentingly vicious satirist is immediately offensive to some and inevitably insufferable to everyone. Mike Judge originally wanted King of the Hill to be a prolonged attack on a typical American family and its traditional Texan values. After the first few episodes it was decided this was not sustainable. The characters were given believable personalities and he plots were devised to entertain rather than preach. However, he got his wish for pure mockery when he put together Goode Family in 2009. It lasted a single season. The most common mistake in satire is to remain too close to the subject matter. Mockery is best done from a comfortable distance. Do anything, do everything, but don’t be tiresome. Orators are made, poets are born. Elocution, poise, diction, syntax, cadence, gesticulation, and sophistry can all be drilled into an aspiring salesman or politician. They can and should be practiced until they look natural (in other words, complimentarily blended with the speaker’s peculiarities – too much pre-planned poise is transparently irritating to all audiences. Think of how uninspiring Americans found Hillary Clinton’s calculated choreography compared to her husband’s homespun charisma). Rhetoric was once an exalted art form, but at some point between 1950 and now it degenerated into the the sort of “debates” we get the pleasure of watching every four years. Poetry is not magic, no matter how tingly it makes us feel; poems adhere to forms and conventions that can (and have) been taught to machines, but at this time spark needed to write elegant, convincing, and congruent verse is not a skill that can be easily transmitted. Intuitively a good ear knows not only if something scans well, if the consonants and vowels compliment each other, but also if there is balance not only in the sounds but in the images and concepts. A poet, like any other artist, needs an intimate familiarity with the workings of the human mind. The intelligent navigation of a system requires an intimate familiarity with the various contexts within it. In the realm of psychology one encounters contexts within contexts…a nearly bottomless pit. Maybe there will be some training system (available for only 3 easy payment of $29.99) that can give you a knack for the sort of verbal flourish that drives readers to laughter or tears. The best medicine is rest. According to the NIH “sleep is involved in healing and repair of your heart and blood vessels. Ongoing sleep deficiency is linked to an increased risk of heart disease, kidney disease, high blood pressure, diabetes, and stroke…” But the word here is not somnus, but quies (from which we get “quiescent”). Sleep is critical for good health, but can the same be said for lying around? The best swimmers often drown. The admonishments against hubris in Greco-Roman mythology were not just cosmic injunctions handed down by the Olympians or the social manifestations of jealousy stemming from mediocrity. Sometimes we have to get a safe range of altitudes before soaring; sometimes we need to know if we can drive the sun chariot without bursting into flames. The myth of Phaethon tells us that, unless you happen to be the sun god, it is best not to try. The expert bias, the equally irritating brother of the Dunning-Kruger effect (the amateur obstinately oblivious to their own incompetence), is quite common. After running into no issues using what we have been taught, there is a decent chance that even the most cautious among us will be lulled into believing nothing can go wrong or, if it does, it not in any way our own fault. It’s also likely the person in question has stopped thinking about the motions they’ve painstakingly committed to procedural memory. It can mean idleness or, according to Merriam-Webster, “serving no practical purpose or result.” In greater numbers than ever humans must combat the evils that come with having more leisure time than they can easily fill. Now, as far as challenges go, this is far from the worst. I would much rather be stuck with having to decide between picking up an instrument or binge watching a Netflix comedy than which sweatshop I’d like to begin working at on my 9th birthday. It is a problem, nevertheless, and one that warrants careful deliberation. Too little rest makes us dull, too much makes us insane. I could go on a rant about the diminishing spotlight occupied by willpower in the Western mind, but I did that in my last blog entry. Roy Baumeister’s name is synonymous with the scientific study of willpower, a term that has steadily fallen out of favor in the West since its heyday in the Victorian era. Whether its decline will continue is anyone’s guess. As antiquated or absurd as the word may seem to modern readers, it is an essential virtue that Baumeister and others have linked with success, happiness, and even charitability. In other words, self-control creates better citizens and better societies. It is unfortunate that it has become equated with stiffness, blandness, and misery. After all, to be anything but a mewling infant incessantly beset by perfectly avoidable misfortunes is to be a robot! Yet common ideas about willpower, like our impressions of other critical but deceptively familiar concepts, are not quite right. Folk psychology occasionally captures kernels of truth, but it is just as likely to fall on the wrong side of the fence. Using the techniques available to us we may believe, rightly or wrongly, that the fault lies with us – a healthy but occasionally dysfunctional response that leads us to begrudgingly accept that we cannot become early risers or make ourselves practice our scales every afternoon. Yet by going deeper, by seeking out what the cutting edge has to tell us about what is effective and what is not, we can construct a blueprint that may deliver results. The Stanford marshmallow experiment is widely cited for a good reason. It is rare that such a seemingly trivial test provides insights into how someone’s character in childhood can shape the rest of their lives. Long after the experiment had finished Mischel continued to hear stories about the participants, which compelled him and his fellow researchers to track down the participants. On average those who managed to wait 15 minutes for a greater reward scored 210 points more on the SAT than their less patient peers. Yet self-discipline does not just improve scores on exams that exist solely to fill the coffers of the College Board. Tasks that seem to rely more upon other traits are deeply affected by our capacity for self-regulation. Managers with high levels of self-control are rated more favorably by their employees than others, presumably because they were better at viewing a situation from multiple perspectives – something hotheads and dictatorial personalities do not do well. The Radish Experiment showed that resisting chocolate chip cookies reduced a person’s willingness to work for extended periods of time on insoluble geometry problems. It also showed that flooding your brain cells with glucose (temporarily) boosts your morale and that, on occasion, psychological investigators can be quite sadistic. It also pointed at two key components of willpower that would be tested more extensively. One is that willpower is a finite resource. The other is we all have one will, which must cope with all the demands our work, families, and social lives place upon it. Resisting the doughnuts at the office draws from the same piggy bank as your irritating coworkers and roommates. But before you bawl over in terror and crawl into some dank corner to sob uncontrollably I must tell you that there is a flipside to this seemingly dreadful design: by exercising one’s will with tasks that place significant demands on it, including arbitrary ones like organizing our papers or reciting a mantra, we can steadily carve out more organized lives for ourselves. Baumeister and others have referred to willpower as a muscle because it can be strengthened. Since we have all been endowed with a single reservoir that flows into countless tributaries that clamour for our ever-dwindling stock of patience (while multiplying like fanged rabbits from one of Fibonacci’s nightmares), our only option is to work on what we have been given. Heroin addicts in Burlington, Vermont (and presumably in other cities) give us a glimpse into the underworld of the chemically dependent brain. When asked to write about “the future” the members of the control group envisioned themselves being promoted, getting married, buying a house, etc. The addicts focused on events that would transpire within a week or two. Warren Bickel found that habitual drug users, with the exception of pot smokers, have a similarly foreshortened “temporal horizon.” Other groups found students with long-term goals tended to perform better than their peers and showed monthly planning is much more useful to students than daily planning. A year after the study ended the monthly planners were still outperforming the dailys. A bit of reflection on particularly goal-oriented periods in your own life will probably provide some personal proof of this concept. Not surprisingly, consistent effort has been found to be vastly superior to the heroic “bursts” procrastinators pray for before drifting off to yet another night of fitful sleep. Procrastination, it is claimed, can be used to stall indulgence. We simply tell ourselves that we will enjoy the vice we have in mind “later.” I have not tried this myself, but I suspect it is not nearly as effective as saying “later” to laundry, bills, or uncomfortable phone calls. The Zeigarnik Effect, named in honor of Bluma Zeigarnik, is an especially insidious consequence of piling tasks on an already overcrowded plate. One evening Kurt Lewin, her professor and a seminal figure in Gestalt psychology, was awed by a waiter’s ability to remember long orders – and by how quickly he forgot the orders once the food was delivered. Uncompleted tasks nag us; they take up space. It seems that these reminders abate in subjects who make a plan outlining how they intend to finish the task. Based on this observation Baumeister and Tierney assert that the effect is the unconscious mind’s request to the conscious mind to “make a plan.” Look, they even Italicized it. If something is nagging you, make a plan. . I don’t believe the authors are naive enough to think the stream only flows in one direction. Surely in some cases low self-esteem leads to undesirable behavior. This section is concluded with wonderful cheekiness: “when the going gets tough, people with high self-esteem often decide they shouldn’t bother. If other people can’t appreciate how terrific they are, then it’s the other people’s fault.” This leads to a comparison between the parenting styles of Americans of European descent and Americans from East Asia. Although accounting for (at the time of the book’s publication) two percent of the country’s population, people of East Asian descent account for a full quarter of the students at top-tier universities in the United States. The massive differences in success rates between Asian and other American children are probably not wholly (or even largely) the result of genetics. It is amazing how quickly rabid nurturists, the types of academics who begin frothing at the mouth at the mere mention of DNA, suddenly become implacable hereditarians when they feel the need to throw the blame off of themselves. The authors cite a couple studies and list a few anecdotes showing how Asian parents put a premium on long-term planning and emphasize rewards for genuine accomplishments over self-esteem for its own sake. It should be noted that even with “tiger mothering” the child’s genetic mediocrity will, in the end, rise to the surface. No, this is not just my overly harsh assessment. Yes, he will probably be more successful than his burger-flipping peers but, in the grand scheme of things, utterly unextraordinary. No. Forcing a child to play the cello for three hours a day will not turn him into Pablo Casals. Coercing a child into “algebra competitions” will not produce an Emmy Noether or a Grothendieck. Yes, Richard Feynman competed, but it was on his own accord, fueled by his own unique genius and passion. As of right now there is no recipe for instilling the lifelong enthusiasm for learning that makes a Feynman. In other words, all the lofty legalistic philosophy imbibed or spouted by these people to rationalize their decisions following their ruling is bunk. They’re just tired. Bottomline: if you have had to make a lot of choices, don’t make anymore until your fatigue has subsided. Experimenters have found one way to make a particular group of subjects more impulsive (as if we need more impulsivity in the world): men who were shown pictures of attractive women were more prone to taking immediate rewards over larger future payoffs. One piece of “good news” (in other words, the sort of factoid that can be used to justify a habit that isn’t widely approved of) is a group of researchers at Harvard have concluded that benefits can be derived from playing video games since, like a musical instrument or a similarly challenging hobby, they require the player to learn rules and follow precise steps. While Starcraft is probably not your child’s ticket to the Ivy League, it is better than television. However, you may want to put a mirror in their room. Wicklund and Duval looked into how self-consciousness impact work ethic. In other words, if you know (or believe) you’re being watched or if you can see your reflection, you are likely to slavishly adhere to the values you claim to cherish and attend to the job you promised to do. One psychologist tried this out on trick-or-treaters who, even while wearing costumes, were less likely to take more than one piece of candy when the mirror was facing them. Without a mirror – or the self-awareness it induces – the little imps felt they could disobey their instructions. We needn’t look at a literal image of ourselves in order to be hit by the realization that we have not been acting as we should. Trollope was a fabulously prolific author. While he penned his fair share of tripe, a few of his novels remain undisputed masterpieces. The method is so simple. As the authors mention, willpower is not magic. It has limits. You cannot force yourself to be happy or sad – not genuinely, anyway. Subjects told to not smile during a comedy or not to show any emotion during a tragedy showed significant amounts of “ego-depletion” – similar to people who have passed up delicious cookies. Tapping into those emotions requires a memory or image that conjures them, and the willingness to spend time learning how to tap into them at the drop of a hat. However, if you are not an actor or a salesman. I see no reason to commit to this sort of practice. Amanda Palmer’s street performance act involved standing still – being a human statue, even when boorish pedestrians would try to antagonize her. David Blaine claims before a stunt his discipline skyrockets, only to fall precipitously afterwards. I can’t say I cared much for the celebrity anecdotes the authors felt the need to include – presumably to connect to a wider audience. One more tidbit that made me chuckle: in spite of the lamentations of many would-be trail-blazers, psychologists have failed to find a link between procrastination and perfectionism. Perfectionism is just a noble-sounding excuse for laziness. When one smoker quits it can move through their social network. They also note that if a person quits smoking their self-control in other areas improves. These small changes can have a tremendous impact on our lives and the lives of others. Willpower is a treasure that is worth cultivating and this is a wonderful book that, I hope, will change your life for the better. Buzsaki presents a difficult subject in a commendably clear manner. It is an exemplary piece of scientific writing produced by one of the grand old men of brain wave research. A growing literature, which has expanded significantly since the book’s publication in 2006, suggests neural oscillations are not “noise” or novelties for someone interested in the minutiae of neuroscience, but fundamental to understanding perception, peak performance, emotional regulation, memory formation, the organization of the various “levels” of the brain, a variety of psychiatric illnesses, and consciousness itself. “Linear causation works most of the time, and it is the foundation of many essential operations from catching a ball to solving a mysterious murder case. Causation can also fail. For example, in an oscillatory system, most or all neurons with reciprocal, one-way connections or no direct connections may discharge with a zero time lag (i.e., simultaneously), making linear causation impossible…. Page 109 lists several key definitions. “For real neurons, however, the integration time window is much harder to determine and depends on a variety of factors, such as replenishment of the neurotransmitter in the presynaptic terminal, the actual resistance of the membrane, receptor types, the immediate spiking history of the neuron, and the state of the various conductances in general. When the neuron is very active, it becomes leaky and can integrate over a much shorter window than at times of low activity…. “A particular striking correlation between working memory and gamma oscillation was observed by subdural grid recordings. Working memory is a hypothetical mechanism that enables us keep stimuli “in mind” after they are no longer available. The amount of information to be held at any given time is referred to as memory load, for example, the number of ‘nonsense’ syllables to be stored when trying to repeat a toast salutation in a foreign language. The literal translation of this proverb is awkward and misleading. If we think of something we want to master as an adversary we are almost destined to never move beyond mere competence, although perhaps we never end up thinking of it as a friend because we are unable to move beyond the frustrating stage of having to consciously plan every our every move to reduce the chance of embarrassing fumbles. The activity does not begin to become “friendly” until some of its more tedious aspects become unconscious. Maybe it is wisest to assume whatever or whoever we are working on, with, through, or for will eventually become amicable – towards us, anyway. Drive out Nature with a pitchfork; she will always return. A shoemaker should not be the only person with a view on the topic. A podiatrist knows more about who will and won’t benefit from them and the person who has to wear them has to decide whether they are comfortable or not. In other words, the proverb, as well as those who worship at the altar of (perceived) expertise, are assuming we are dealing with a good shoemaker with an omniscient knowledge of his craft and the needs of all those he services. But does the cobbler really need seven consultants to help him make a shoe for a baker? People have been making what we would call shoes for at least 7,500 years. Surely some wisdom has accumulated over seven and a half millennia. Seneca neatly summarizes the perennial dilemma of the thoughtful person. As philosophy became an academic discipline and philosophers became tenured professors the focus shifted from thinking about the ideal life, which seems terribly pompous nowadays. Over the last half century academics in the humanities (usually calling themselves “critical theorists”) and far too many laypeople appropriated and misapplied Einsteinian physics to every sphere of their everyday lives. Seneca would not choose Scylla or Charybdis, or if he did, his mind would remain elsewhere. It may not be an entirely false dichotomy, but it is irrelevant to a Stoic. Inebriation rarely offers any answers to our problems, but given the rollercoaster ride that was 2016, I believe we have all earned a glass of whiskey. The first bunch can be found here. These were written in rapid succession. And search the drab earth to regain that height. For all seems to be beauty incarnate. And assure them they belong to this state. The deceits of dreams have lately become. From their foolhardy hold I always run. But when I see you I know you are mine. Hollow enchanters boredom calls blessed. The pulling of the remembering thorn. Forces my drab memories to relent. Another lost to the world’s false allure. Next to you this earth is nothing at all. The other has tried—and already failed. And save for that moment, we are alone. To the highest hopes of our beginnings? Let us let time be neither fate nor conceit . In the scarlet hearth of a forge most kind. They grow again and forsake the fallow. Made mutable by a love unsurpassed. I entered a vessel some have envied. But with the sun their looks have not agreed. Conceals uneven terrain within me. For you know they are beauty’s penalty. That enliven the sad sand-swept ledges. For in you they find a purer source. And banish me from my nocturnal home. Than in the discordant realms below. For you encompass all that can be sought. The Kanizsa Triangle, an illustration of Gestalt psycology in action. There is no evil without some good. This proverb should not be interpreted as blind Panglossianism. That sort of naive optimism is antithetical to the Greco-Roman worldview, which itself was far from homogenous. It is hard to imagine a Stoic, Epicurean, Skeptic, Neoplatonist, Aristotelian, or a run-of-the-mill Pagan trading places with Voltaire’s ridiculous professor (teleology is not the same as believing this is the “best of all possible worlds”). Minor mishaps help us prepare for more formidable disasters. Catastrophes may force us to change by giving us a deeper appreciation for our lives and life itself. This does not mean we should subject ourselves to hardships, it does not mean it is “for the best” when a monsoon obliterates a village or a tyrant is given absolute power or a loved one passes away, but these sorts of calamities, whether it is the strengthening of a resolve for liberty, the bonds of family and community, or the expansion of one’s empathy, do not come without some good – which is all that is being claimed here. Since at this point in time tragedies are unavoidable, it is wise to draw what we can from this maxim and apply it to our own typically less-than-ideal circumstances. And maybe the ultimate deception is the need to construct coherent narratives. As Postmodern as this may sound I am not denying the existence of objective facts, the usefulness of the scientific method, or the validity of properly applied deductive logic. I am simply saying there is a universal need – shared even by Postmodernists – to believe we have a consistent and complete picture of the areas we consider important enough to demand this sort of self-deception. The shadows, what Donald Rumsfeld called the “unknown unknowns”, greatly outnumber the other three types of knowables. Optimism is practical. Occasionally bolstering one’s faith in Lady Luck or Providence is not wholly irrational, since it is likely these terms are describing a set of very real traits and circumstances working in one’s favor. Pessimism is easy to fall prey to because we are wired to give more weight to negative events, which only assists in constantly amplifying the bias (and engorging the smugness of the pessimist). There is even a special sort of satisfaction in complete agnosticism, partially because it requires so little effort and partially because it often seems like the wisest position to take. Gestalt psychologists like Max Wertheimer and Wolfgang Kohler found that people are very good at “filling in the blanks”, sometimes to their detriment. It is described in the approriately titled Law of Closure. In a way, pretending to know what is between the gaps is an essential form of closure in both senses of the word. Melius est nomen bonum quam divitae multae. As the information age matures everyone will become increasingly accountable for their actions and, more controversially, their beliefs. Beliefs in some way must be reflective of the person who holds them. Yes? This means someone who holds a specific idea must be entirely evil and therefore deserving of condemnation. Yet the belief has an origin, likely quite mundane and fairly arbitrary, because there is never an effect without a set of causes behind it (I seem to be channeling Aquinas this morning – bear with me). As I have argued before, beliefs are rarely the result of critical thinking. When a person can be beheld as a whole, how do we judge them? Usually not as a whole. It takes too much time and energy to properly evaluate someone’s character. Names rise and fall with sound bites, with incidents that suddenly dim public perception. Surely we all enjoy sharing the triumphs of those we consider representative of ourselves and our values, but nothing is relished more than the fall of the mighty. Care must be taken not because there is so much information, but because a single speck, even if it is only a speck in the eye of one vicious critic, can irreparably damage a legacy. In different states of mind we can more readily access different memory clusters. Anyone who has been intoxicated, hypnotized, or has utilized the Stanislavski Technique knows this. In some way or another we are liars, either by omission (to protect our reputations or spare the feelings of others) or by stating things we know are untrue. Even in the latter case the lies may not be malicious or harmful. Most of us would never tell a child he or she is stupid, even if, as far as we can tell, they are quite stupid. Someone who constructs a false narrative must remember all its details, otherwise they are bound to be convicted, but the same can be said for someone who is trying to tell the truth. Yet, as George Costanza said, “a lie is not a lie if you believe it.” Memories must seem true, otherwise one’s recollections will be unconvincing. This one is open to interpretation. At first glance it looks like a joke, maybe something a politician once said to lighten the mood of a banquet. On the other hand, it expresses a sentiment older than Rome, older than our species. Rats roughhouse with one another and so did, presumably, our rodent-like ancestors. This bouts are not being waged between two “enemies”, although it would also be silly to claim the rats are friends. There is an instinct to play. While many people have contentedly striven for mastery without paying much attention to their rivals, or the world outside their studio or office, there is no doubt competition is a necessary incentive for practitioners who would otherwise see no point in continuing. Even Leonard, who takes a rather spiritual view of mastery, must admit that a game without challenge is incredibly boring. It is natural to long for something long gone. It is just as natural to want a feeling or experience to last longer than it ever could, perhaps even for it to become a permanent way of being, either at the time or, more commonly, when silhouetted by the softening light of hindsight. A tremendous amount of potential is lost to nihilism. The passivity it engenders only causes the afflicted to dig an even deeper hole, to waste more time, to rigidly withhold their energies from expenditure, and to feel increasingly disenfranchised from the dreams they prematurely deemed unreachable or meaningless. Nothing in the universe is meaningless. Transient? Undoubtedly. Though even then it depends on how you define it. Approximately 300 million cells in our bodies die every minute, but barring hereditary disorders and unfortunate accidents, we live for many decades. To say it is without purpose is to isolate the part from the whole, a symptom of the rabid reductionism still endemic to scientific circles. The celerity of a mailboy, the virulence of a bacterium, and the temperaments of thunderstorms have all shaped the fates of nations. The characters of leaders and thinkers have been impacted as much by their life stories and their encounters with painfully ordinary people as they have by the achievements of their predecessors. To declare an action pointless is to forget it does not and cannot stand alone. Nothing comes from a vacuum. It is the result of countless causes, the chain to which it belongs is so intricate and delicate the doer can contemplate upon but never truly understand its craftsmanship or the craftsman. For a Daoist meditation in motion is superior to sitting. Lord Krishna exhorts Arjuna in the Bhagavad Gita to faithfully execute his dharma as a kshatriya without any regard for victory or defeat. While some schools of Buddhism, particularly the Sotoshu, emphasize the importance of remaining silent and seated in zazen, this is not the case for all. Due to journalistic sensationalism we are bombarded by editorials that are made out to be the final words on a matter. There is seldom a final word on anything. There is unstoppable change, unexpected detours and, dare I say, progress. As anathemic as the term may be to subjectivists, there has no doubt been a massive expansion of knowledge since the invention of writing and, I would wager, a commensurate increase in possible conscious states. As hinted at in the preceding paragraph, we must at once conceive of things as they are, but always keep in view their place in the grander scheme of things. Are there perfect forms we can contemplate upon? Is there an entity called Truth that is as unequivocally perfect as an ideal isosceles triangle? I do not know if Plato’s Forms are somewhere in the clouds, but there is no doubt we can experience them. Climb the mountain, revel in the peak. Amphibian derives from the Greek words ‘amphi’ (double) and ‘bios’ (life) – and their unique life cycles have made them icons of the environmental movement. Frogs have become symbolic of biodiversity conservation and environmental water management. Although there are a plethora of amphibians and water sources, the conventional image is of a frog in a pond. In this peaceful place adult frogs sit on branches and leaves, dragonflies hover overhead, and tadpoles wriggle below the surface. Aside from this conventional image, amphibians have a long tradition of mythology that extends into popular culture, advertising, and even web animations. The common need for water creates a close kinship between humans and these remarkable organisms. Almost anyone can appreciate amphibians, at the very least, for their astonishing diversity (ARAZPA 2008; Attenborough 2008). It is hardly surprising Kermit the Frog has leapt into human popular culture given the character’s universal appeal (Tyler, Wassersug & Smith 2007). Frogs and toads, as members of the class Amphibia, are commonly referred to as amphibians. Frogs and toads are different than caecilians and salamanders because they do not have a tail after reaching adulthood. Frogs and toads belong to the order Anura, which translates to “no tail.” Further distinctions between frogs and toads are widespread and generally understood, however, “From a taxonomic perspective, all members of the order Anura are frogs, but only members of the family Bufonidae are considered ‘true toads.’ The use of the term ‘frog’ in common names usually refers to species that are aquatic or semi-aquatic with smooth and/or moist skins, and the term “toad” generally refers to species that tend to be terrestrial with dry, warty or bumpy skin.” Frogs and toads are found on every continent except Antarctica. As of April 2015, there are 6,482 species in the Anura order according to the American Museum of Natural History (AMNH). It is well-known frogs begin their lives as small fish-like creatures called tadpoles. Tadpoles, like their mature counterparts, vary in size and morphology. At this stage they are usually herbivorous, but have been known to prey upon zooplankton, insect larvae, and even other tadpoles (Altig et al, 2007). Frogs are eaten in many countries, including Peru, India, China and France. They were also considered delicacies by the ancient Romans. In fact, frogs are so prized in certain culinary circles that a number of Asian countries have forbidden their exportation. Although particularly popular in France and China, they are also consumed on the Iberian Peninsula, in Southeast Asia, and parts of the Balkans. It’s true what they say: (some) frogs taste like chicken. Typically their meat is bland and requires frying or hot sauce. Others taste fishy to discerning palates. This should not be surprising, since amphibians are not far removed from the first creatures to climb out of the Devonian sea. By piecing together the puzzle of the geographic distribution of amphibians using DNA sequence data, academics offer further insights into how amphibians crossed vast continents over time. Frogs have continued to serve as sources of haute cuisine and new drugs (Adler, 2003; Grenard 1994; Tyler 1997). Throughout the ages frogs and toads have been used in innumerable medicines and magical rituals (Sax 2001, p. 125). Misconceptions about frogs still abound and many superstitions are still believed wholeheartedly. Do they give us warts? Empirical evidence reveals this is not so (Tyler & Looby 2004, pp. 68-69). They even gave us the first human pregnancy test and have helped us better understand mitosis and meiosis. They offer a treasure trove of pharmaceuticals to help humans to combat disease: ways to numb pain, treat ulcers, and improve the organ transplantation process, among many others. Peptides like dermaseptins and magainins in the skin extracts of the waxy monkey treefrog (Phyllomedusa sauvagei) and the African clawed frog (Xenopus laevis) hold promise. Amphibians are proving to be powerful allies in research against STI-causing pathogens. Such peptides may prove to provide safer microbicides and spermicides. Microbicides are more convenient to use in the form of gels, films, or suppositories, and capable of neutralizing viruses and bacteria. Researchers have also identified a peptide with the potential to accelerate wound-healing on the skin of Graham’s frog (Odorrana grahami). Secretions from many Australian tree frogs contain antimicrobial peptides that form part of the host defence mechanism to ward off bacterial infection. As ingredients in numerous folk remedies and sources of cutting-edge pharmaceuticals, frogs have long played a role in medical research. The Russian brown frog Rana temporaria, for instance, is dipped into milk to prevent souring. In China powdered toad venom acts much like digitalis in strengthening heart contractions. Tribes in South America have used frog secretions as venom for their arrows and as ointments for their wounds. Most infections attack the mucous membranes. Since a frog’s epidermis is essentially one large mucous membrane one may wonder why they do not turn into “bags of pus.” Although their skin houses a wealth of antifungal, antiviral, and antibacterial agents, it is not especially adept at fighting off certain types of fungi. The mink frog of North America (Rana septentrionalis) can combat the dreaded “Iraqibacter”, a drug resistant bacterium that has infected wounded American soldiers in Iraq. The foothill yellow-legged frog (Rana boylii) shows promise in fighting methicillin-resistant Staphylococcus aureus (MRSA) bacteria, however this species is now facing extinction. Bear in mind many of these compounds are large peptides which, at this time, do not make the best pharmaceuticals. They can elicit immune responses and are often metabolized too quickly. However, as delivery methods become more sophisticated, this may no longer be an issue. Courtesy of What Do Animals Eat? Two small peptides isolated from the waxy monkey frog (P. sauvagii) show antiangiogenic properties. By stopping the formation of blood vessels they could be useful in killing tumours. The giant fire-bellied toad (Bombina maxima) has a peptide that does the opposite. Encouraging angiogenesis could be a boon to stroke victims, organ transplant recipients, and patients with certain types of cardiovascular disease. Samples were collected from two groups of frog species: Litoria, which includes the Australian green tree frog, and Crinia, a genus also native to Australia. Litoria produce caerin peptides, which attack cell membranes. Members of Crinia make riparins, which can enhance immune response, regulate blood pressure, and relax tense muscles. Some frogs are also veritable alkaloid factories, a family of molecules that contains recognizable names like caffeine, morphine, psilocybin, and nicotine. Epibatadine is a toxin derived from the Equadorian poison tree frog (Epipedobates tricolor) with analgesic properties. While it will not supplant opiates in the near future, it may serve as the inspiration for new and less addictive types of painkillers. Poison Dart Frogs: they pose a greater immediate threat to you and you to them. Frogs breathe with their lungs and through their skin to regulate moisture and fluid transfer (Australian Government Department of the Environment and Heritage 2004, p. 1). Humans should not haphazardly handle an amphibian out of regard for its safety. Unless it is a poison dart frog (Dendrobatidae), and you immediately place your fingers into your mouth or near your eyes after contact, you likely pose a greater threat to the little creatures than they ever will to you. Having semi-permeable membranes makes them vulnerable to dehydration and to whatever toxins or harmful microbes someone may be harboring on their hands. A guide to properly handling amphibians can be found here. Every so often a frog deformed by pollution makes its way into the news. This is a result of exposure to harmful chemicals during critical windows of development or to pathogens that have sprung up as a result of ecological imbalances. These unfortunate mutants should serve as sobering illustrations of what the irresponsible disposal of teratogens can do to living things. As sensitive indicators of changes in their habitat, the health of amphibians is related directly to, and a telling reflection of, disease and dis-ease in the environment. “If chemicals in the water cause mutations and reproductive problems in frogs think of what they could be doing to humans,” states Vicky Poole of the National Aquarium in Baltimore. We can “help save frogs and other amphibians” by limiting the use of chemicals and pesticides which ultimately end up in the watershed and ultimately harm frog populations. Maleficent, beloved, educative, beneficent, or endangered, frogs and toads have been seen in different lights at different times. These many different roles suit an animal that spends part of its life in the water and a portion on land, time in one body and time in another. They come in a dizzying array of shapes, sizes, and colors. More than just bulging eyed fly catchers, frogs and toads have a diverse assortment of mating rituals, child rearing methods, lifestyles, life cycles, and defences against predators. Frost et al. (2006) note there are estimates of well over 5,200 frog species and there are likely many more to be discovered. Tragically, it is estimated that over 120 amphibian species have become extinct since 1980 (Moore, 2014). Amphibians, once reviled and perpetually promoted as symbols of doom in literature, are now harbingers not only of spring, but of a burgeoning global shift in consciousness. Conserving these creatures is seen as not only noble, but also in humanity’s best interest – the outdated belief that an ecological crisis was mere hearsay has been put to rest now global warming is widely accepted by the scientific and the political communities around the world (McKibben, 2006; Flannery, 2015). Frogs are used in scientific testing. Most iconically they were used in the past by institutions of learning to teach anatomy, physiology, and pharmacology. In the twenty first century there has been a global outcry against such practices and mounting concern about the health of our water resources. There is a growing awareness about the absence of those creatures that traditionally dwelt in, on, or near waterways—the problem is apparent when an eerie silence falls upon places once bustling with croaks, calls, and songs. Amphibians have sophisticated nervous systems that allow them to feel pain and pleasure like any other sufficiently advanced animal. The central nervous system of a frog is composed of the front, mid, and hind brains. The hind, which contains the medulla oblongata, keeps the frog balanced. The frontal and mid areas manage sensory inputs. Its peripheral nervous system is composed of ten pairs of cranial nerves, as opposed to twelve in humans, as well as their extensions that allow for the exchange of information between the brain and the rest of the body. For over half a century we have gathered ample evidence that clearly shows nonhuman animals feel pain and experience many other emotions once believed to be unique to Homo sapiens (Balcombe 2010; Bekoff 2007, 2010; Bekoff et al. 2002; Bekoff & Pierce 2009; Fouts & Mills 1997; Griffin 1992). Thus, it should be clear that it is inhumane to intentionally injure or cause them distress. Humans have long been mesmerised by the metamorphosis amphibians undergo, and have sought insights into human physiology by observing it. Tyler, Wassersug & Smith (2007, p. 2) note that, “This is not surprising as frogs and humans share similar organ systems and biological needs” (Holmes 1993; Nussbaum and Oksenberg Rorty 1995). There are similarities and differences between mammalian and amphibian physiology. Frogs have a brain, two eyes, two ears, a mouth, and a nose, but have no ribs, only nine vertebrate, and no tail. However, a urostyle, a downward extension of the spinal column, is a tail-like relic from the evolutionary past. Whereas humans have two lower leg bones, the tibia and a fibula, nature’s great hoppers have only one. Amphibians do not have ears on the outside like mammals, but they can hear. Their ears are composed of a cartilage ring that vibrates which then tickles the fluid, which moves tiny “hairs”, which stimulate the nerves. This is all fine and good, but what is more unusual is the fact a frog’s lungs are almost as sensitive to vibration as their ears. Professor Peter Narins (2006) discovered the two are connected by an airway. This is analogous to the way fish can “hear” with their air bladders. In many locales croaking is synonymous with a midsummer night’s eve. The size of the tympanum, the circular ear cover, is one way to distinguish between the genders. In males it is smaller than their eyes, in females it is approximately the same size. Although for many species emitting a call is critical to attracting a mate, it is just as important that females can hear it! As in most animals, sexual dimorphism exists. When breeding commences the male employs his specialized call to attract females. The male will attempt to climb on top of the female’s back and clasp around her “waist” in what is referred to as amplexus, and the eggs are generally fertilized in the water as she lays them. The male is typically smaller in order not to crush the future mother of his children; the female is larger to store her many eggs. There is great diversity in the world of courtship and reproduction where frogs are concerned. More than one Nobel Prize has been won with the help of our gracious little friends. The Ig Nobel Prize was awarded to Andre Geim for his frog levitation project. In his defence, he later snatched a Nobel for his work on graphene, making him the one man to have the honour of winning both awards. In 1962 John B. Gurdon proved the reversibility of cell specialization by replacing the nucleus of an egg cell with one taken from an adult. The resulting chimera developed into a normal tadpole. This led to a shared Nobel Prize with Shinya Yamanaka 50 years later. In the 1700’s Luigi Galvani made a seminal contribution to neurology when he passed a current through the legs of a dead frog. The twitching it induced proved the nervous system had an electrical foundation. These experiments made him famous and would later inspire Mary Shelley to write one of the most famous horror novels in the Western canon. Such a misguided statement may well have been indicative of a general fear felt by the public towards these animals which was further compounded by the hysteria surrounding the alleged practice of witchcraft. The Catholic Church decided frogs were one of the forms familiars could assume, familiars in this case refers to malevolent entities who carry out a witch’s commandments. From that point onward amphibians became synonymous with witchcraft in the West. Loved or maligned, kissed by princesses or boiled by witches (Cooper 1992, p. 107; Ribuoli & Robbiani 1991, pp. 38-47), amphibians have long enchanted us and continue to appear in folklore, children’s stories, magic and mythology, and popular culture (Heiner 2010). Ribuoli and Robbiani reinforce this presence when they mention frogs feature ‘so prominently throughout history, the world over, in legend… art and popular entertainment’ (1991, p. 6). From Exodus to Aesop, Aristophanes, Jim Henson’s most famous Muppet, and the Egyptian goddess of fertility, frogs have played important roles in the mythologies and cultures of the world. Heqet, the Egyptian frog deity, was depicted simply as a frog, or a woman with a frog’s head or, less commonly, as a frog perched upon a phallus. With the annual flooding of the Nile came millions of frogs. It is no wonder Heqet amulets were worn by women who wanted children. An enduring fable attributed to Aesop concerning a croaking assemblage of frogs provides a timeless moral. In The Frogs Who Desired a King a community of pond dwellers prayed to Zeus for a monarch to rule over them. Zeus, always ready to teach terrible lessons, first made a humble log their ruler. Discontent with a mere figurehead, the serfs petitioned the thunder god for a more fearsome king. Always willing to grant a wish when its outcome is destructive, Zeus sent them a stork that greedily gobbled them up. In many mythologies amphibians have been inexorably connected to and associated with the primeval waters from which life emerged. For the Huron Indians and other Native Americans, the deliverer of rain is a frog (Sax 2013, p. 292). The aborigines of Queensland, Australia have a well-known legend that a frog once swallowed all of the waters on the land. Here is one version of The Story of Tiddalik. Jin Chan, literally means “Golden Toad.” Legend has it Jin was the rapacious wife of one of the Eight Immortals who was punished for stealing one of the peaches of immortality by being turned into a toad. According to Feng Shui beliefs, Jin Chan, also known as the “Money Toad” or “Money Frog”, is a charm strategically placed in homes and places of business to increase good fortune. These life forms, which figure so prominently in so many stories and mythologies, are often symbols of prosperity. Today they are profitable commodities for pet traders, but are suffering as a result of being taken from their homes in such large numbers. Many die during transport and those that arrive, as one would expect, are never returned to their habitats. Additionally, the unregulated trading of amphibians has spread many infectious diseases, including the potentially lethal Chytrid fungus (Batrachochytrium dendrobatidis), which was identified in 1998. Amphibians are a critical link in the food chain. Frogs and toads are carnivores that happily gulp down any living thing they can fit into their mouths Depending on their size, they will prey upon flies, mosquitoes, and other flying annoyances. Larger types will eat worms, grasshoppers, bugs, spiders, worms, larvae, slugs, baby turtles, mice, small fish, snakes, and even other frogs. Besides removing pests, they also serve as an indispensable food source for fish, birds, reptiles, mammals, and even arthropods. As mentioned earlier, for many years amphibians have been used as a way of assessing the health of water bodies. The overuse of pesticides, herbicides, and fungicides, as well as industrial runoff can result in failed metamorphosis, immunosuppression, hermaphroditism, disease, and death. The pesticide atrazine feminizes male frogs and glyphosate causes growth abnormalities in tadpoles. The hydrological cycle ensures the widespread and sometimes unpredictable dispersal of pollutants. This means the carelessness of one country or city can harm the wildlife of another thousands of miles away. Climate change hits frogs, toads, and their kin especially hard. Their eggs lack the protective shells of birds and reptiles. This makes them susceptible to drying out. Adult frogs, needing to maintain moisture, are always vulnerable to desiccation. Even desert dwelling amphibians depend on the periodic formation of puddles. Mating can be affected by temperature and the availability of water. Other frogs find themselves accidental tourists in an inhospitable—or overly hospitable—land. Sometimes given the epithet “Banana Box”, they are transported across great tracts of land or sea in crates of fruit, vegetables, or plants. Hidden from view these displaced travellers may carry diseases like the deadly Chytrid fungus (Chytridiomycosis) which presents a serious threat to native species. For this reason frogs must never be released into the wild unless special approval is granted. Environmental issues are a central topic for debate. Global summits to save frog species are increasing in number and relevance. The Year of the Frog in 2008 with Sir David Attenborough presenting as patron, proved successful in raising awareness of their plight. The latest assessment by the International Union for the Conservation of Nature (IUCN), the world’s leading authority on the conservation status of different species, Red List of Threatened Species (update 2015) shows that at a minimum 41% of all extant amphibian species face risk of extinction. Their threatened status is alarming given that so many of them have already left our company for the oblivion of extinction (Walther et al. 2002). Mass extinctions and serious population declines have been observed over the last quarter century (Lips et al. 2006; Pounds et al. 2006; Stuart et al. 2004). Although there is increasing evidence there are several factors behind these demographic changes (Johnson 2006), the part humans play in this process is obvious in the form of habitat destruction. Global warming is implicated, however, this environmental crisis cannot be remedied with a single approach. Habitat destruction displaces animals of all kinds. The purposeful or accidental introduction of invasive species has also taken its toll on native populations around the world. The cane toad was brought to Australia to keep pests under control. Unfortunately, it drove many other amphibians to extinction. Historically black and brown rats, notorious carriers of pestilence, had a negative impact on formerly isolated populations of frogs. Now chytridiomycosis affects one third of all amphibian species, causing further extinctions (Rooji et al. 2015). In 2006, researchers suspected that African frogs used as pregnancy tests may be actually spreading the deadly amphibian Chytrid fungus around the world. It is clear alternative treatments need to be developed if biodiversity is to be preserved. For the sake of our ecosystems and the preservation of animals that have given so much to humankind, we ought to make their protection a priority as soon as possible. Warshall reminds us that, ‘Humans lose water constantly-we are not water tight-and we need to replenish ourselves or die. This is a ‘hydro-contract’, an inescapable biospheric life support that we need to work with to maintain ‘hydro-harmonies’ ‘ (2002, pp. 42-43). Still, to this day, the human conception of water is mostly as an abstract resource. Because of this the vital connection we ought to feel with water has been lost. Benefits to the human race must continue to be demonstrated from frog conservation efforts, showing how our fates and theirs are inextricably interwoven. This could influence politicians and the general public to take further steps to protect endangered species and their habitats (Tyler 2007, pp. 1-18). Why should we help amphibians? It may be suggested this question arises precisely because we have irretrievably lost a measure of our humanity by remaining indifferent to the extinction of so many species worldwide that we have become divorced from our essential compassion. Why shouldn’t we help them? Adler, K 2003, ‘Amphibians and humans’, in M Hutchins, WE Duellman, N Schlager (eds), Grzimek’s animal life encyclopaedia, volume 6: Amphibians, Gale Group, Farmington Hills, MI, pp. 51-55. Altig, R, Whiles, MR & Taylor, CL 2007, ‘What do tadpoles really eat? Assessing the trophic status of an understudied and imperilled group of consumers in freshwater habitats’, Freshwater Biology, vol. 52, pp. 386-395. ARAZPA (Australasian Regional Association of Zoological Parks and Aquaria) 2008, ‘Year of the Frog’ campaign pack, Madman Printing, viewed 10 July 2015, <http://www.amphibianark.org/pdf/YOTF/ARAZPA%20YOTF%20InfoPack.pdf>. Attenborough, D 2008, Life in cold blood, Princeton University Press, NJ. Australian Government Department of the Environment and Heritage 2004, Frogs of Australia fact sheet: Threatened species and communities, National Heritage Trust, Canberra, ACT. Bekoff, M 2007, The emotional lives of animals: A leading scientist explores animal joy, sorrow and empathy – and why they matter, New World Library, Novato, CA. Balcombe, J 2010, Second nature: The inner lives of animals, Palgrave Macmillan, New York. Bekoff, M 2010, The Animal Manifesto: Six reasons for expanding our compassionate footprint, New World Library, Novato, CA. Bekoff, M & Pierce, J 2009, Wild Justice: The moral lives of animals, University of Chicago Press, Chicago. Cauble, K, and Wagner, RS 2005, ‘Sublethal effects of the herbicide glyphosate on amphibian metamorphosis and development’, Bulletin of Environmental Contamination and Toxicology, vol. 75, no. 3, pp. 429-435. Clarke, BT 1997, ‘The natural history of amphibian skin secretions, their normal functioning and potential medical applications’, Biological Reviews of the Cambridge Philosophical Society, vol. 72, no. 3, pp. 365-379.
Cooper, JC 1992, Symbolic and mythological animals, Aquarian Press, London. Goel, PK 2006, Water pollution: causes, effects and control. India, New Age International. Flannery, T 2006, The weather makers: How man is changing the climate and what it means for life on earth, Grove Press, New York. Flannery, T 2015, Atmosphere of hope: Searching for solutions to the climate crisis, Text Publishing. Fouts, R & Mills, ST 1997, Next of kin: My conversations with chimpanzees, Avon Books, New York. Frost, DR, Grant, T, Faivovich, J, Bain, RH, Haas, A, Haddad, CFB, De Sa, RO, Channing, A, Wilkinson, M, Donnellan, SC, Raxworthy, CJ, Campbell, JA, Blotto, BL, Moler, P, Drewes, RC, Nussbaum, RA, Lynch, JD, Green, DM, and Wheeler, WC 2006 ‘The amphibian tree of life’ Bulletin of the American Museum of Natural History, vol. 297, pp. 1-370. Gehman, JD, Luc, F, Hall, K, Lee, TH, Boland, MP, Pukala, TL, & Separovic, F 2008, ‘Effect of Antimicrobial Peptides from Australian Tree Frogs on Anionic Phospholipid Membranes’, Biochemistry, vol. 47, no. 33, pp. 8557-8565. Griffin, D 1992, Animal minds, University of Chicago Press, Chicago. Grenard, S 1994, Medical Herpetology, N.G. Publishing Company, Pottsville. Hayes, TB, Khoury, V, Narayan, A, Nazir, M, Park, A, Brown, T, Adame, L, Chan, E, Buchholz, D, Stueve, T, and Gallipeau, S 2010, Atrazine induces complete feminization and chemical castration in male African clawed frogs (Xenopus laevis). Proceedings of the National Academy of Sciences, vol. 107, no. 10, pp. 4612-4617. Heiner, HA (ed.) 2010, The Frog Prince and other frog tales from around the world: Fairy tales, fables and folklore about frogs, Surlalune Press, Nashville, TN. Holmes, FL 1993, ‘The old martyr of science: The frog in experimental physiology’, Journal of the History of Biology, vol. 26, no. 2, pp. 311-328. Liu, H, Duan, Z, Tang, J, Lv, Q, Rong, M, & Lai, R 2014, ‘A short peptide from frog skin accelerates diabetic wound healing’, FEBS Journal, vol. 281, no 20, pp. 4633-4643. Johnson, PTJ 2006, ‘Amphibian diversity: decimation by disease’, Proceedings of the National Academy of Science, vol. 103, no. 9, pp. 3011-3012. IUCN 2015. The IUCN Red List of Threatened Species. Version 2015-4. <http://www.iucnredlist.org>. Downloaded on 11 March 2016. Lips KR, Brem, F, Brenes, R, Reeve, JD, Alford, RA, Voyles, J, Carey, C, Livo, L, Pessier, A & Collins, JP 2006, ‘Emerging infectious disease and the loss of biodiversity in a Neotropical amphibian community’, Proceedings of the National Academy of Science, vol. 103, no. 9, pp. 3165-3170. McKibben, B 2006, The end of nature. Random House, New York. Moore, R 2014, In Search of Lost Frogs: The Quest to Find the World’s Rarest Amphibians Bloomsbury: London. Narins, Peter, Albert S. Feng, and Richard R. Fay, eds. 2006, ‘Hearing and sound communication in amphibians’, Springer Handbook of Auditory Research Springer, vol. 28 of the series, pp 1-11. Nussbaum, MC & Oksenberg Rorty, A 1995, Essays on Aristotle’s De Anima, Oxford University Press, Oxford. Pounds, JA, Bustamante, MR, Coloma, LA, Consuegra, JA, Fogden, MPL, Foster, PN, La Marca, E, Masters, KL, Merino-Viteri, A, Puschendorf, R, Ron, SR, Sánchez-Azofeifa, GA, Still, CJ & Young, BE 2006, ‘Widespread amphibian extinctions from epidemic disease driven by global warming’, Nature, vol. 439, no. 7073, pp. 161-167. Pukala, TL, Bowie, JH, Maselli, VM, Musgrave, IF, & Tyler, MJ 2006, Host-defence peptides from the glandular secretions of amphibians: structure and activity’, Natural product reports, vol. 23, no. 3, pp. 368-393. Ribuoli, P & Robbiani, M 1991, Frogs: Art, legend, history, Bullfinch Press/ Little Brown, New York. Sax, B 2001, The mythical zoo: An encyclopedia of animals in world myth, legend, and literature, ABC-CLIO, Santa Barbara, CA. Sax B, 2013, The Mythical Zoo: Animals in Myth, Legend, and Literature 2 ed. Overlook Duckworth Press, New York and London. Stuart, SN, Chanson, JS, Cox, NA, Young, BE, Rodrigues, ASL, Fischman, DL & Waller, RW 2004, ‘Status and trends of amphibian declines and extinctions worldwide’, Science, vol. 306, pp. 1783- 1786. Tyler, MJ 1997, ‘The exploitation of frogs: past, present and future’, Australian Biology, vol. 10, no. 1, pp. 65-69. Tyler, MJ & Looby, M 2004, It’s true! Frogs are cannibals, Allen & Unwin, East Melbourne. Tyler, MJ, Wassersug, R & Smith, B 2007, ‘How frogs and humans interact: Influences beyond habitat destruction epidemics and global warming’, Applied Herpetology, vol. 4, no. 1, pp. 1-18. Van Rooij, P, Martel, A, Haesebrouck, F, and Pasmans, F 2015, ‘Amphibian chytridiomycosis: a review with focus on fungus-host interactions’, Veterinary Research, vol. 46, pp. 1-22. Walther, GR, Post, E, Convey, P, Menzel, A, Parmesan, C, Beebee, TJC, Fromentin, JM, Hoegh-Guldberg, O & Bairlein F 2002, ‘Ecological responses to recent climate change’, Nature, vol. 416, no. 6879, pp. 389–395. Warshall, P 2002, ‘Watershed governance’, in D Rothenburg & M Ulvaeus (eds), Writing on water, The MIT Press, Cambridge, Mass, pp. 40-57. Wells, KD 2007, The Ecology and Behavior of Amphibians, The University of Chicago Press, Ltd., London, p.1. 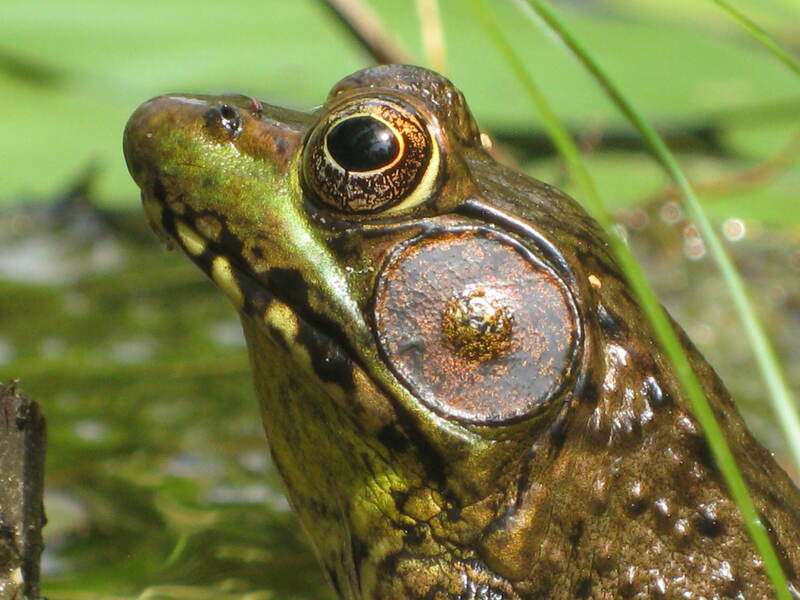 Zairi, A, Tangy, F, Bouassida, K, & Hani, K 2009, Dermaseptins and magainins: antimicrobial peptides from frogs’ skin—new sources for a promising spermicides microbicides—a mini review. BioMed Research International. Adam Alonzi is a writer, biotechnologist, documentary maker, futurist, inventor, programmer, and author of the novels “A Plank in Reason” and “Praying for Death: Mocking the Apocalypse”. He is an analyst for the Millennium Project, the Head Media Director of BioViva Sciences, and Editor-in-Chief of Radical Science News. Listen to his podcasts here. Read his blog here.